Last week’s season 10 finale of Doctor Who promised a heart-tugging end for Peter Capaldi’s Time Lord in this year’s Christmas special. Having been mortally wounded fighting the Cybermen, the Twelfth Doctor decided that he didn’t want to go through the anguish of regenerating into another new man (or maybe woman) yet again. In the above video posted by the Doctor Who YouTube channel earlier today, showrunner Steven Moffat and Capaldi himself discuss the Doctor’s mindset here and why they decided to go down this particular route. Moffat, in particular, has some interesting comments to make on the nature of regeneration and why the Doctor has decided enough is enough. 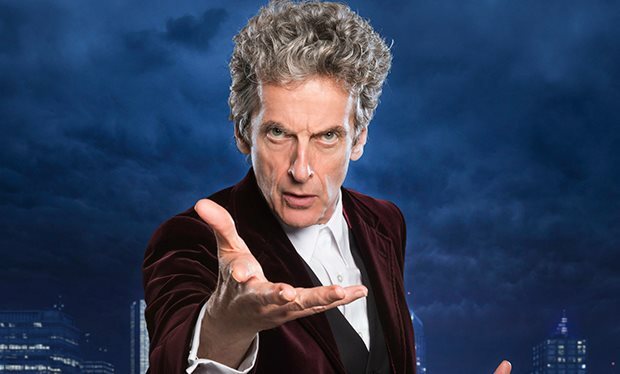 For the Twelfth Doctor, the feeling is apparently even more intense as he’s now on his second regeneration cycle – as granted to him by the Time Lords in 2014’s “The Time of the Doctor” – so he’s living more lives than he ever thought possible and apparently, he’s questioning whether he should go on living at all. This is definitely a very dark and interesting avenue to explore within the usually jolly Christmas special, but we can assume there will be a more hopeful ending. As we know, the Twelfth Doctor will team up with the First (played by David Bradley) in this episode. Going by his own comments in his cameo at the end of the finale – “I will not change! I will not!” – the First Doctor is also at the end of his own life and resisting his first regeneration. It’s likely, then, that the two Doctors will help each other accept that change is inevitable and should be embraced so that they can keep on being the Doctor forever. That’s just our theory, though. We’ll have to see how it plays out when the Doctor Who Christmas special arrives at the end of the year.